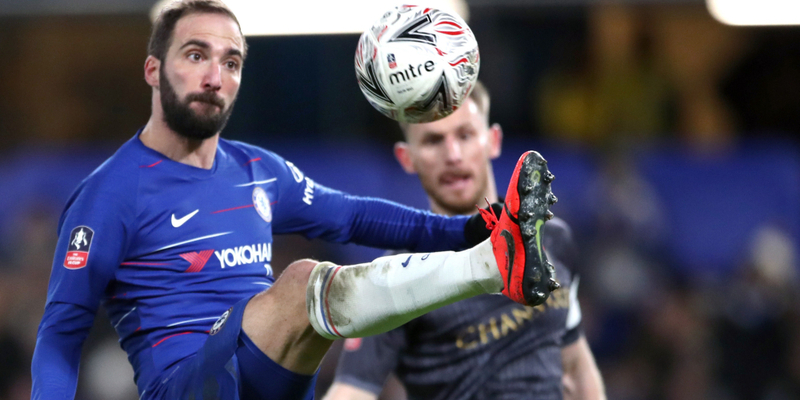 All eyes were on Gonzalo Higuain as the Argentina striker made his debut for Chelsea against Sheffield Wednesday in the FA Cup. 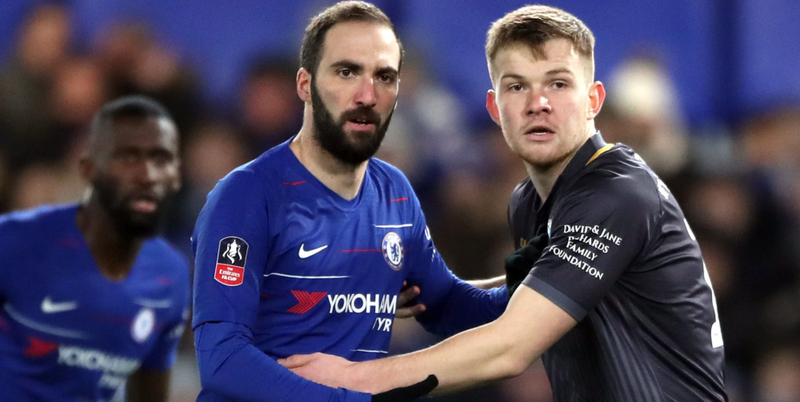 Higuain joined the Blues earlier this week on loan from Juventus, linking up again with boss Maurizio Sarri who coached him at Napoli. Higuain enjoyed his best season under Sarri, scoring 36 goals in Serie A in 2015/16, but he arrived at Stamford Bridge on the back of a frustrating loan spell at AC Milan. Higuain had to wait until the eighth minute to get his first touch of the ball in English football, so tightly was he being marshalled by Owls defenders Tom Lees and Jordan Thornily. He won a free-kick with his second touch after Lees cleaned him out. Higuain’s first chance arrived after 18 minutes when Mateo Kovacic found him in the area but his shot was blocked. Higuain scored just six goals in 15 Serie A appearances while on loan at AC Milan during the first half of the season, and at the age of 31 there are question marks over his physical condition, especially with the demands of the Premier League. But he comfortably lasted 80 minutes, albeit in what was a gentle introduction to English football. A strength of Higuain’s since he joined Juventus, the forward increasingly drifted short and attempted to lay the ball off to a blue shirt. It rarely came off on his first outing but once he builds an understanding with his team-mates this should become a feature of Chelsea’s attacking play. Higuain appeared to decline an offer from Willian to get off the mark for his new club by taking the penalty, the Brazilian instead stepping up to score his 50th Chelsea goal. The blocked shot in the first half and a header wide in the second were his only attempts on goal, but his knack of finding space in the area was instantly apparent. A pedestrian cup tie against pedestrian opposition probably contributed to a pretty pedestrian performance from the new number nine. But it is minutes under the belt and there were probably more reasons to be cheerful than fearful.